The USA book binding industry begins losing business to China, Taiwan, and Mexico in the mid-1980s. Then digital eReaders start eroding sales as well. Cardoza-James Binding, in a declining industry, finds new life making Apple iPad and eReader covers. 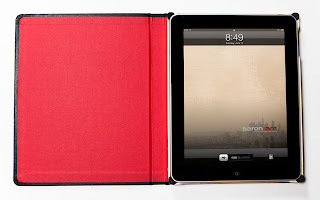 DodoCase.com is now producing 500 Apple iPad cases daily. The Dodo cases have been a big seller since the launch. The cases are promoted as "Made by Hand in S.F." DODOcase now has a more ambiitous goal of $3 million sales in the first year. Now a days Apple iPad has become very popular. DodoCase.com is now producing Apple iPad cases daily.